Back for Health Chiropractic. Est:- 2000. We're inspired in unlocking a greater potential from within all of us. We’re inspired by the body’s Innate ability to heal and passionate with educating our patients about their health. We hope that you will tell your friends and family about the good work we do here, so they too can benefit from Chiropractic care. Our focus is to provide a safe Co-management for our patients. Our practitioners are registered with all Private Health funds and claims can be made with HICAPS. Safer than a foam roller, better for your back, designed by science. Ablespine's patented design supports the natural alignment of your spine. Simply lay on ablespine and allow your body to relax, realign and recover safely. ablespine - a solution to a crucial problem. To create something that is amazing our team has had to think outside the box. Over three years of R&D, the development and trialling of 7 working prototypes has led to a final patented & TGA approved design that can safely stretch, realign and improve posture for all body types. 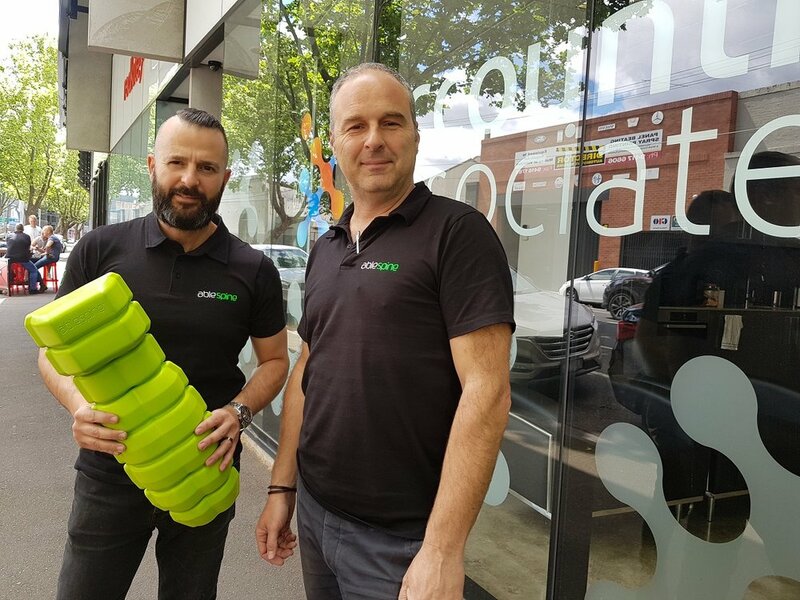 “Serving the community in Elwood since 2000 with Chiropractic, Remedial Massage, Myotherapy, Yoga Classes and a range of Mattresses and products at our practice in the heart of the Elwood Village. We love being a part of this fantastic community – Our goal is to see all the members of our community achieve better health."